Nice owner. He invited everything we need but Bathroom so small and the floor of the room wasn’t clean. Comfortable check-in check-out as the host communicated the entry codes in a mail once booking is confirmed and the instructions were clear. 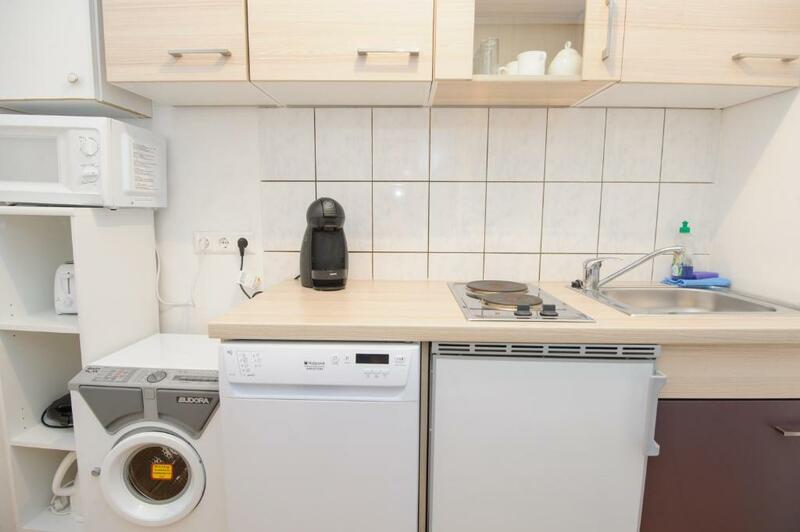 Clean and comfortable, apartment as shown in the pictures, location was close to main station (1 km walk), Belvedere palace (500-600 m) and close to tram and metro stops. It is a little far from attraction by walk (city hall is approx 3 kms) but a metro, tram or bus takes 10-15 mins. The host was really responsive and allowed us to have a late check out. The kitchen had everything we needed. There is a really good breakfast place down the road called Daniels. Easy check in and out. Very clean. Close to central station. walking distance from center. fast checkin - take the keys from safe box at the building entry. Close to the main train station as well as tram link to the city centre. Walking distance to the Schloss Belvedere. Although the apartment is located by a busy street, luckily there is no noise getting in. Size of the room is quite decent and you also get small kitchen to prepare your meals & drinks (capsule coffee machine, kettle provided). great location, sufficiently equipped apartment, and friendly owners. Warm apartment, cosy and newly furnished. Good locaiton, near the train main station and tram stop. Most things that you need is available like hair dryer, dryer rack, kitchen towels, ironing board, kettle and heater for winter. Tiny washer was also available. A very convenient place, just a few metres from Belvedere. With the D tram and 10 minutes, you get the city centre and the Ring, the most famous avenue in Vienna. The apartment was very clean and well equipped. I highly recommend for leisure travelers, couples and friends. Lock in a great price for Royal Resort Apartments Belvedere – rated 8 by recent guests! 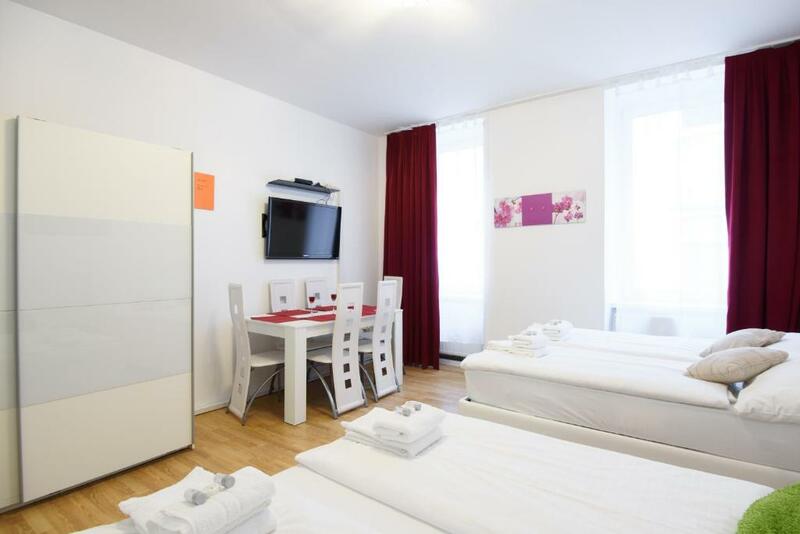 The stylish Royal Resort Apartments Belvedere are just a 3-minute walk away from Belvedere Gardens and an 8-minute walk from the Quartier Belvedere Train Station. All apartments and studios feature a dishwasher, a washing machine and free WiFi. A flat-screen TV with cable channels, a modern bathroom and parquet flooring are further features of the Royal Resort Apartments studios and apartments. All necessary cutlery, crockery and kitchenware are provided as well. The main train station is just 1 stop away from the Quartier Belvedere station, which also provides direct tram connections (line D) to the center, a 10-minute ride away. When would you like to stay at Royal Resort Apartments Belvedere? Area Info – This neighborhood is a great choice for travelers interested in old-town exploration, architecture and city walks – Check location Good location – show map Guests loved walking around the neighborhood! House Rules Royal Resort Apartments Belvedere takes special requests – add in the next step! Royal Resort Apartments Belvedere accepts these cards and reserves the right to temporarily hold an amount prior to arrival. Please note that the fixed amount stated in the prepayment conditions is a damage deposit. It will be blocked on the credit card on the day of booking, and will be refunded after an inspection of the apartment on the day of departure. Please let the property know your expected arrival time at least 1 day in advance. You can use the Special Requests box when booking or contact the property. Late check-in after 21:00 is only possible on request and at an extra fee. Please note that a fee applies in case the apartment key is not returned. Please inform Royal Resort Apartments Belvedere of your expected arrival time in advance. You can use the Special Requests box when booking, or contact the property directly using the contact details in your confirmation. The bathroom is very cramped. The sofa is very dirty and disgusting. The dishes were dirty in the dishwasher. The TV didn't work. The beds are comfortable. The location is good. The bathroom & toilet quite small. Frosted glass sliding door are not ideal as they leave a small gap between the door and wall. It might be a little awkward when sharing the apartment with other person/people especially if you are concerned about privacy. Still it's not something to spoil your stay. Good position, nice rooms. I recomand it! The walls are very thin and the whole flat shakes when you move around. would be much better if they installed a second door between the living/bedroom and the hall/kitchen to block out some of the noise coming from the corridor outside. Outside the city center but good public transportation. Passage up to apartment was dark. Bath area was a bit small. No dryer for clothes. No instructions provided in English for clients who may not know how to operate the heater systems. No lift in case you travel with heavy luggage. Access by stairs. We stayed three nights. The boiler was broken since the second nights. There was no stable hot water and heating. The host tried to fix it at the third morning, but when we were back at night we found out there was still no hot water. Although the host sent someone to repair it immediately, it still not worked. We asked the host to changing another room, but he said there was no more room available. We had two nights without stable hot water and heating. All the thing he could do was giving us some discount. It was not the best solution, but at least it did make up some. Ventilation in bathroom, felt it could be a little more powerful when a group of 4 are staying. WIFI DIDN'T WORK DESPITE DEVICE THERE IN ROOM.. SOMEHOW PASSWORD DIDN'T CONNECT,, TRIED WITH EVERY DEVICE OF OURS. 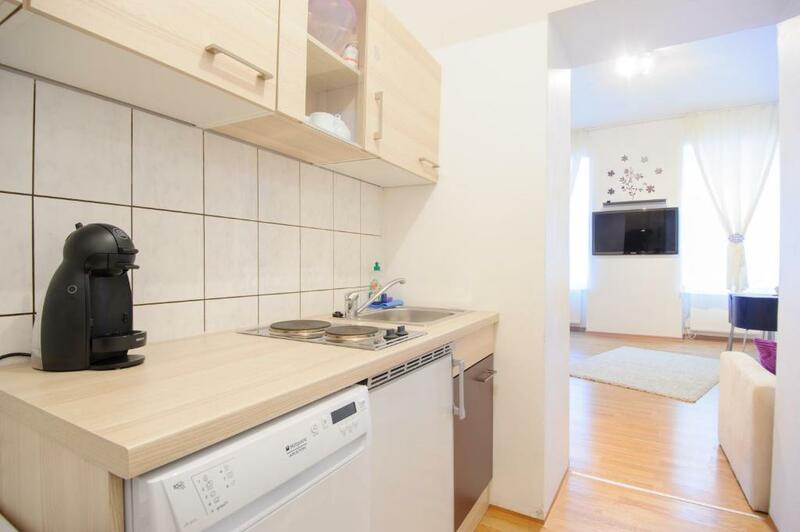 AREA JUST BIT OFF TOO CENTRAL BUT GREAT AREA RIGHT NEXT WALKING DISTANCE TO Vienna CENTRAL. HUGE APARTMENT... VERY NEAT N CLEAN WITH ALL FALSITIES POSSIBLE THERE.. FULL KITCHEN AND EVERYTHING. GOOD RESPONSIVE HOST.